A special art installation at Chesterfield Museum will remember local men who served as stokers in the First World War. Sheffield-based Kidology Arts will take over art gallery space with a large scale art installation based on the local men who were stokers in the Royal Navy during the First World War. This will be on display at the Chesterfield Borough Council attraction will run from Saturday 23rd May until Saturday 18th July. Councillor Amanda Serjeant, Chesterfield Borough Council's cabinet member for town centre and visitor economy, (left), said: "The First World War was a defining moment in our history and this exhibition will allow many of our young visitors to see the men from Chesterfield who served their country 100 years ago. "Our thanks go to Arts Council England for funding the project and to the Sheffield artists, Richard and Amanda Johnson of Kidology Arts, for their artwork." The exhibition takes the form of an art and music installation. Beyond what has been uncovered, very little is known about the stokers and their contribution to the war effort has not been recognised. The piece of visual art is a detailed, life-size recreation of the front room in the family's terraced house and the exhibition will highlight what the stokers did and explain how, through the collieries, they were recruited into the Royal Navy from Derbyshire - the county furthest from the sea. 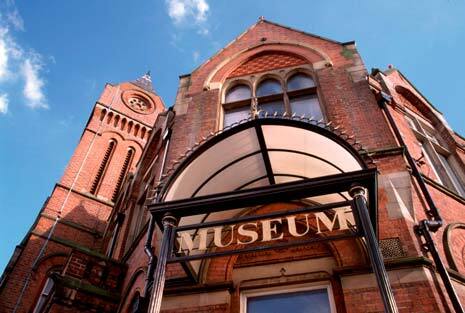 Chesterfield Museum is open each Monday, Thursday, Friday and Saturday from 10am to 4pm. Entry is free. 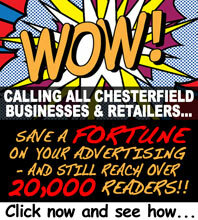 Visitors can also currently see the Down the Track exhibition examining Chesterfield's railway heritage. This is also open until Saturday 18th July.